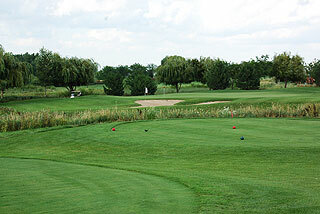 The Links of Carillon Golf Club in Plainfield, just south of Chicago, is a 3-1/2 star (Golf Digest Places to Play) semi-private daily fee course featuring 27 holes of championship golf. 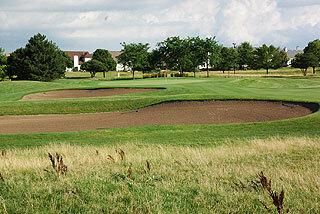 The Red and White nines form the primary 18-hole layout, and are represented in the photos here. On property are a driving range, chipping and putting greens, plus the Links Learning Center which offers a variety of instructional programs. 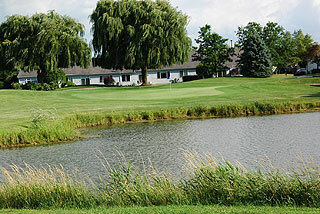 The Links Grille offers a wide variety of lunch items and also serves as a fine banquet/outing facility. A Pro shop featuring the latest in fashions and golf accessories is also part of the clubhouse. On course golfers will find beautifully manicured fairways, tees and bunkers plus well conditioned medium size greens - on a fairly open layout with scattered trees and vegetation . 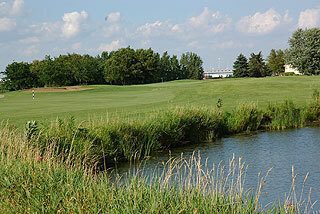 The course is accentuated with plentiful mounding, which often borders the fairways and green complexes - but even lies will be the reward of well placed shots. 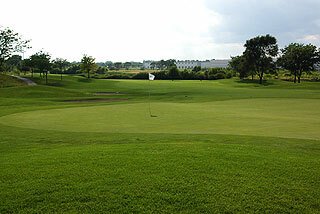 The greens are very putt-able, with gentle slopes and only mild undulations. 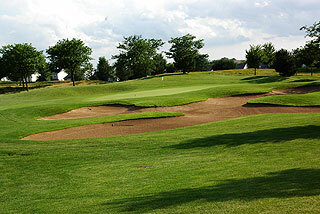 Water comes into play on 16 of the 27 holes, and there are approximately 70 sand bunkers scattered about the layout. Five sets of tee boxes play to distances and slopes (along the combined 27 holes) measuring between 5061 up to 6829 yards. With a top slope rating of 125, the Links at Carillon provide an interesting round that is enjoyable for all levels of golfers. 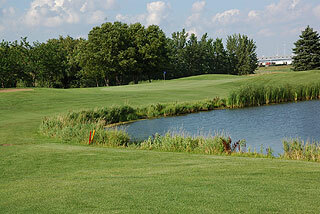 The cart paths provide measurements to the center of the green, as do the yardage blocks in the center of the fairways. Some sprinkler heads are marked, and 150 yard stakes double as directional tools on all par fours and fives. The hole diagrams at the tee boxes are helpful, and color coded flags indicate front, middle and back pin placement. 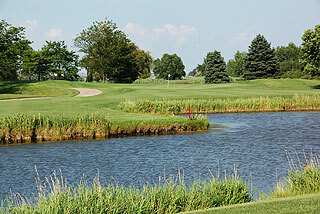 This is a nice value course for the Chicago area. For more info - visit our informational page for the Links at Carillon on our Chicago golf course listings, with a link to their website , by clicking here.